The National Student, the digital student publication that originated as a hand-delivered newspaper in 2003, goes back to its printing roots as it releases the second issue of its recently revived student magazine. The magazine is ad-funded, allowing it to be free of charge to its student readers. English punk duo, Slaves, appear on the front cover and an in-depth discussion with model and Orange Is the New Black megastar, Ruby Rose, is included within the magazine. The Top 20 Travel Destinations for students in 2017 has also been released, a feature that has been prominent in the digital edition of The National Student for the last three years. 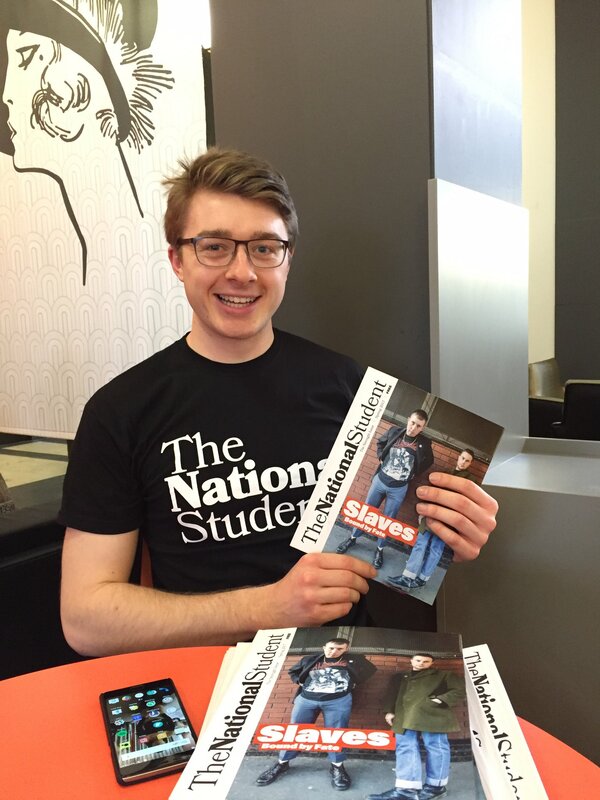 The National Student used a network of student brand ambassadors, provided by Campus Media, to hand-deliver the 30,000 issues to their student peers at prime social locations on campus and also target relevant university societies and sport fixtures. The brand ambassadors wore t-shirts with The National Student branding on during distribution. They also shared the news on the timelines of their personal social media feeds and posting about the magazine in relevant groups. A digital version of the magazine launched within The National Student website as well as its Facebook page and Twitter Feed. The magazine was emailed to a student database of 250,000 students, provided by TheBigChoice.com, with news about where they can pick up a copy of the magazine and alert those who weren't on campus that day to the digital version of the magazine. The second edition of The National Student magazine comes after the successful launch of The Reinvention Issue which was distributed to UK university campuses during Freshers Week 2016.